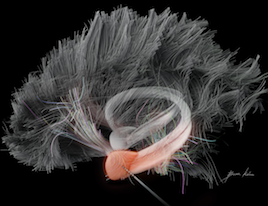 The behavioral effects of direct electrical stimulation of the cingulum bundle, a white matter tract in the brain, were confirmed in two other epilepsy patients undergoing diagnostic monitoring. The findings are scheduled for publication in the Journal of Clinical Investigation. He also spontaneously reported “this is fun.” He further explained that he could distinguish feelings in his body that would normally be associated with fear recognized and the absence of an actual threat, making the experience “fun”. 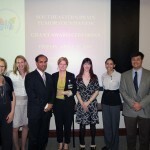 Next week, we will be asking the Emory research community to support Emory’s entry in a contest. It’s like “Battle of the Bands.” Whoever gets the loudest cheers wins. We have some intriguing neuroscience research. Please help! STAT Madness is a “March Madness” style bracket competition, but with biomedical research advances as competitors. Universities or research institutes nominate their champions, research that was published the previous year. The findings, from Cory Inman, Jon Willie and colleagues from the Department of Neurosurgery and Joe Manns from Psychology, were the first published example of electrical brain stimulation in humans giving an event-specific boost to memory lasting overnight. 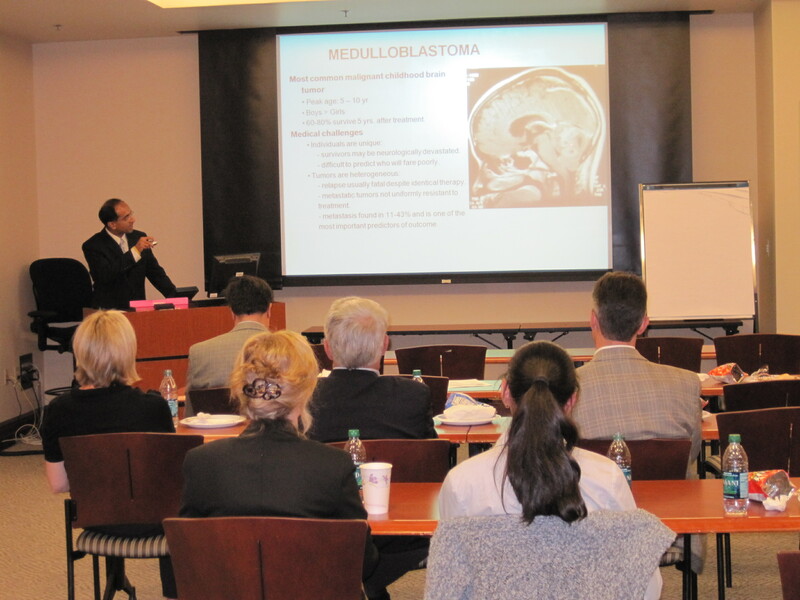 The research was conducted with epilepsy patients undergoing an invasive procedure for seizure diagnosis. However, the technology could one day be incorporated into a device aimed at helping those with memory impairments, such as people with traumatic brain injury or neurodegenerative diseases. The localization to the left lateral temporal cortex was interesting, because it hadn’t been identified as a region that modulates episodic or hippocampus-dependent memory. [The Emory authors stimulated the amygdala.] The more recent paper found a similar size of memory enhancement, with a slightly different and harder memory task of free recall, using “closed-loop” stimulation based on whether the brain is in a ‘bad’ encoding state. 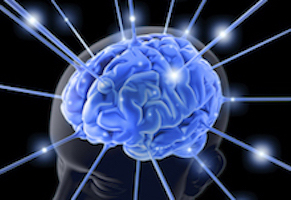 It’s possible that closed-loop stimulation could be used with the amygdala as well. Emory’s first opponoent is University of California, San Francisco. We are about half way down on the right side of the bracket. As far as voting, you can fill out a whole bracket or you can just vote for Emory, along with other places you may feel an allegiance to. The contest will go several rounds. The first round begins on February 26. 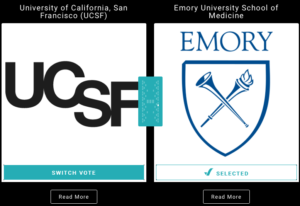 If Emory advances, then people will be able to continue voting for us starting March 2. Please share on social media using the hashtag #statmadness2018. STAT is a life sciences-focused news site, launched in 2015 by the owner of the Boston Globe. 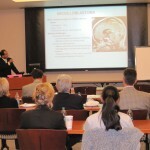 It covers medical research and biotech nationally and internationally. 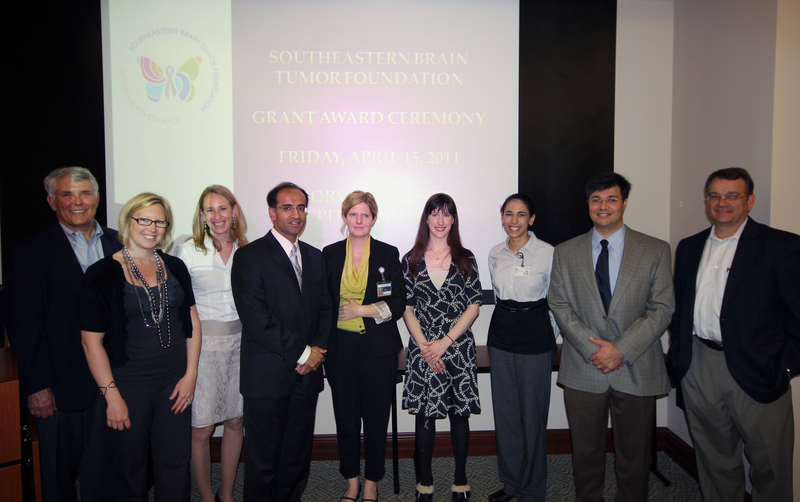 Emory took part in 2017’s contest, with Tab Ansari’s groundbreaking work on SIV remission, a collaboration with Tony Fauci’s lab at NIAID. Emory neurosurgeon Robert Gross was recently quoted in a Tennessee newspaper article about a clinical trial of cell therapy for stroke. He used cautionary language to set expectations. Stroke patients who received genetically modified stem cells significantly recovered their mobility… Outcomes varied, but more than a third experienced significant benefit. These days, it sounds a bit old-fashioned to ask the question: â€œWhere is consciousness located in the brain?â€ The prevailing thinking is that consciousness lives in the network, rather than in one particular place. Still, neuroscientists sometimes get an intriguing glimpse of a critical link in the network. 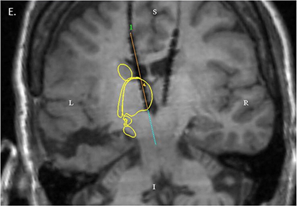 A recent paper in the journal Epilepsy & Behavior describes an epilepsy patient who had electrodes implanted within her brain at Emory University Hospital, because neurologists wanted to understand where her seizures were coming from and plan possible surgery. Medication had not controlled her seizures and previous surgery elsewhere hadÂ not either. MRI showing electrode placement. Yellow outline indicates the location of the caudate and thalamus. Image from Leeman-Markowsi et al, Epilepsy & Behavior (2015). During intracranial EEG monitoring, implanted electrodes detected a pattern of signals coming from one part of the thalamus, a central region of the brain. The pattern was present when the patient was conscious, and then stopped as soon as seizure activity made her lose awareness. As part of reporting on neurosurgeon Robert Grossâ€™s work with patients who have drug-resistant epilepsy, I interviewed a remarkable woman, Barbara Olds. She had laser ablation surgery for temporal lobe epilepsy in 2012, which drastically reduced her seizures and relieved her epilepsy-associated depression. Emory Medicineâ€™s editor decided to focus on deep brain stimulation, rather than ablative surgery, so Ms. Oldsâ€™ experiences were not part of the magazine feature. Still, talking with her highlighted some interesting questions for me. Brain cancer doesnâ€™t have a purpose or intent. Itâ€™s just a derangement of molecular biology, cells that keep growing when theyâ€™re not supposed to. 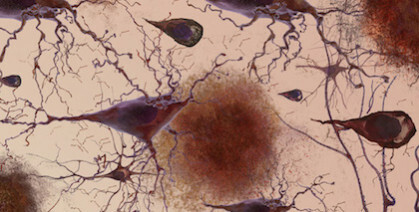 Blood clots, often in the legs, are a frequent occurrence in patients fighting glioblastoma, the most common and the most aggressive form of brain cancer.Â Zerrouqi and http://www.gooakley.com/ Van Meir show that a tumor suppressor gene (p14ARF) that is often mutated in glioblastoma stops them from activating blood clotting. Take away the gene and glioblastoma cells activate the clotting process more. At first glance, a puzzle emerges: why would a cancer â€œwantâ€ to induce blood clots?Â Cancer cells often send out growth factors that stimulate the growth of new blood vesselsÂ (angiogenesis). The cells are growing fast, thus they need their own blood supply. Activating clotting seems contradictory: why build a new highway and then induce a traffic jam? 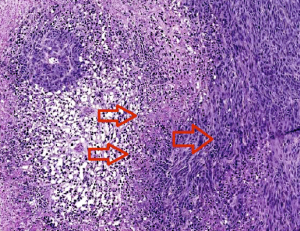 The two left arrows indicate clots causing necrosis around the vessels. 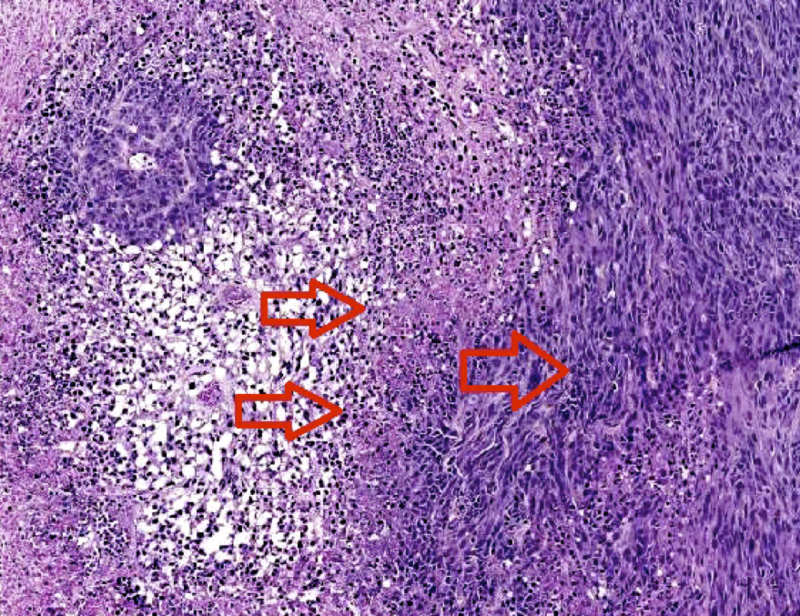 Cells at the edge of the necrotic zone (right arrow) tend to be more proliferative and invasive. Image courtesy of Zerrouqi. Blood clots lead to both destruction of the healthy and tumor tissue and hypoxia, a shortage of oxygen that drives more aggressiveness in the tumor. The clots create “micro-necroses” at the leading edge of the tumor that over time probably fuse and create a big central necrosis. “The paradox is that the tumor kills itself and the normal brain, yet the capacity of doing this is the hallmark of the most malignant form of this tumor,” Van Meir says. A fragment of one of the proteins that cancer cells use to exert the clotting effect, called TFPI2, could be used to antagonize blood clotting Â therapeutically, they write in Cancer Research.Â The findings could also have implications for understanding the effects ofÂ current medications, such as the angiogenesis inhibitor bevacizumab, also known as Avastin.